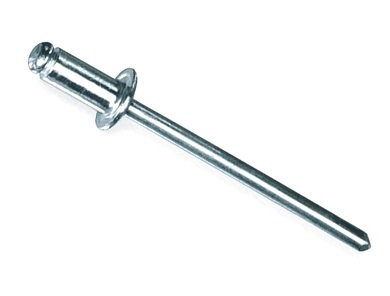 PRODUCT: 5/32" x .1875 - 0.250 inch (3/16 - 1/4") Grip, Button Head (Open/Dome type), Plated Carbon Steel Blind Pop Rivets. 8,000/Box. Price/Box.